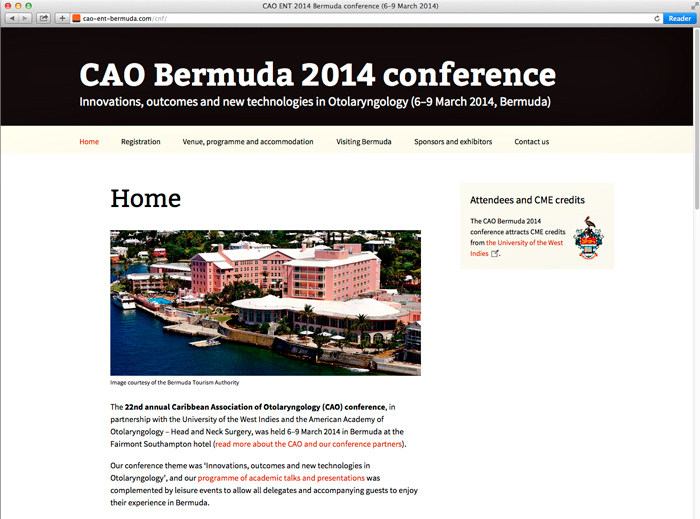 Annual Caribbean Association of Otolaryngology (CAO) medical conference website: arrange web hosting etc. 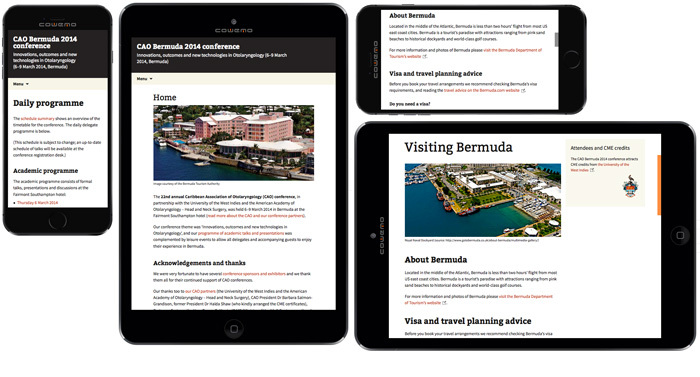 and create a simple information and registration website to work cross-platform and on multiple types of devices. 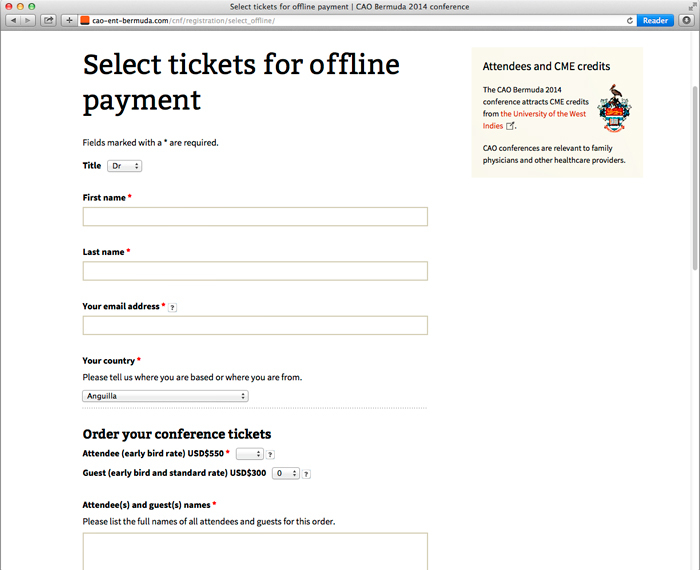 Also managed registration process, which was offered through two routes: complete online form then pay offline, or pay online (using event registration system Amiando). Clear language editing and writing, concept/visual identity, design, build, maintenance, and registration management. WordPress child theme with additional HTML and CSS. 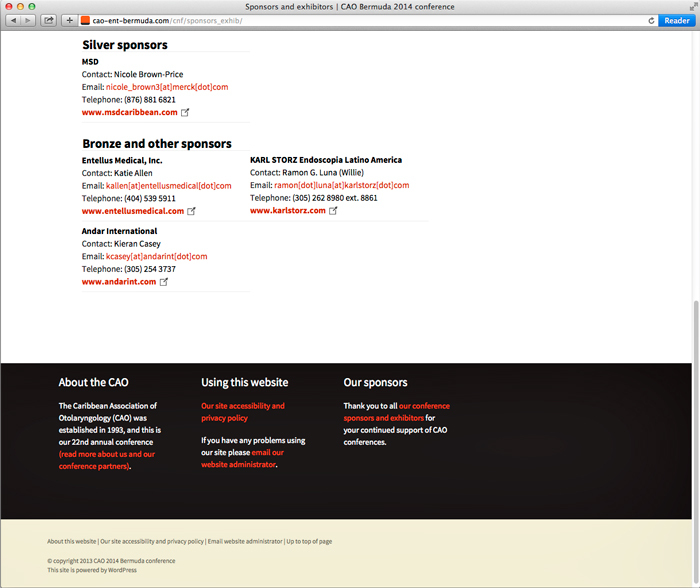 The CAO revised their main website after the 2014 conference; their updated website adopted some of the typography, information architecture and content I used to create the 2014 conference website.